Paytm had benefited from the government’s demonetization move last year – and its employees are now cashing in. 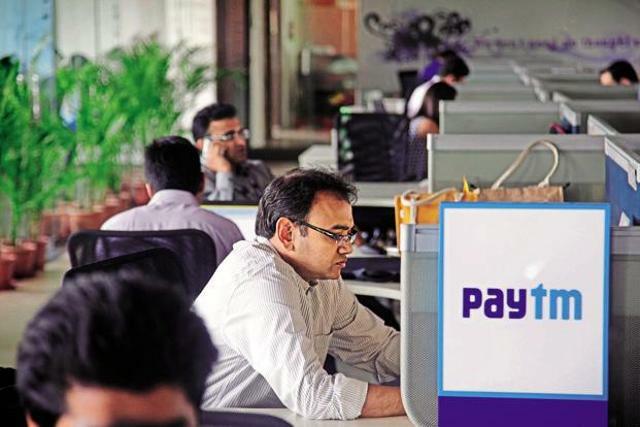 About 47 employees have sold Paytm shares worth Rs. 100 crore over the last few weeks, the Economic Times reported. This averages out to over Rs. 2 crore per employee. Paytm was last valued at $4.8 billion (Rs. 31,200 crore) during its fundraise in 2016. Paytm has had an ESOP program for seven years, and 500 of its 4,000 employees currently hold stock in the company. These 500 employees together hold nearly 4% of Paytm. The biggest individual stockholder is founder Vijay Shekhar Sharma, who on the back of his 19% holding, is now worth over a billion dollars. The biggest institutional investors in the company is Alibaba-owned Ant Financial, which has a 45% stake. Other Indian internet companies too have been trying to help employees be able to cash out their ESOPs. In 2015, Flipkart had created a trust fund to help its employees monetize their stock options. These options often account for a large percentage of the salaries of employees in startups, and cashing them in can be extremely lucrative – last year, 15 employees at Citrus Pay had also become crorepatis when their company had been acquired by PayU. A peon, who’d joined the company at its inception at a salary of Rs. 8,000 per month, had ended up with Rs. 50 lakh. While Paytm hasn’t yet been acquired, or gone through an IPO, there was interest from both external and internal buyers for the company’s shares. India’s internet companies have had a tough 2016 – Paytm’s peers Flipkart and Snapdeal have both struggled, and seen their valuations fall from the highs of 2015. But investors seem bullish on Paytm, which has seen its userbase soar since November last year. In November, the company had 140 million users, but has seen this number balloon to over 200 million in the 4 months following demonetization. And Paytm employees, who’d brought out features at an astonishing rate in the weeks after the move, are now earning the rewards for their efforts.